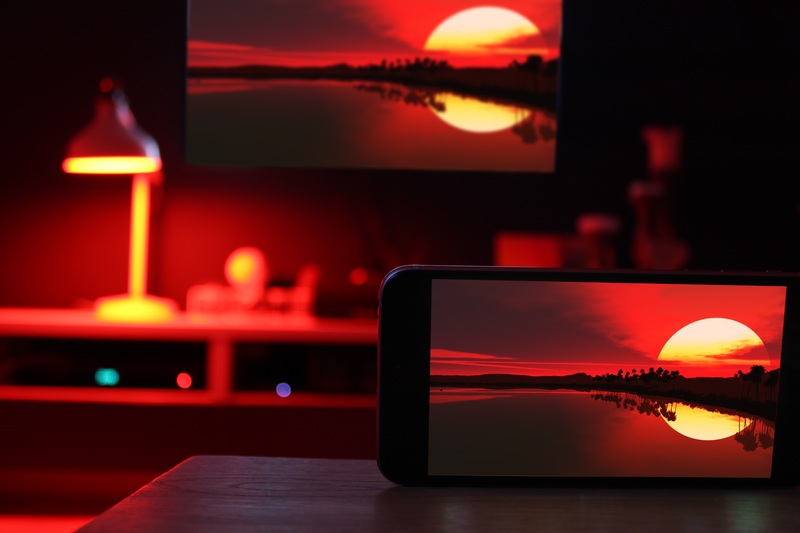 Hue Camera creates an Ambilight-like effect using your Philips Hue lights and your device’s built-in camera. The custom build algorithm of Hue Camera continuously analyses all individual pixels and takes hue, saturation, luminance, occurrence and many more factors into consideration to determine which specific colour is the most contributing to the overall ambiance. Find more detail info about how the algorithm works in this article. Your house will for example turn green when watching movies in the forest and turn blue for underwater scenes. Because Hue Camera uses the built-in camera, it’s not limited to a specific device and can be used for content on televisions, Apple TV, gaming consoles, BluRay/DVD players and even things off-screen like photos and paintings. Although Hue Camera was designed to work within a wide range of situations, you can change the speed of colour transitions and the intensity of the colour to your liking.